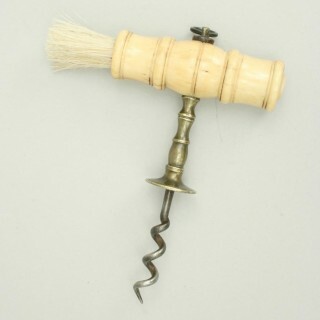 A late 19th century bone handled cork screw with dusting brush. 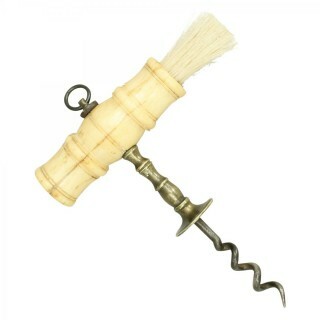 The bone handle is well turned but with some cracking. 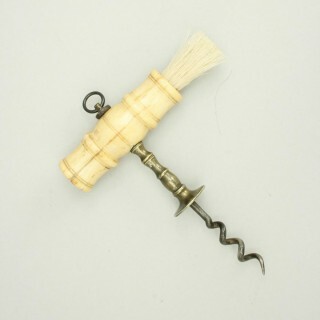 A nice direct pull corkscrew with a cast brass shank with Henshall button. 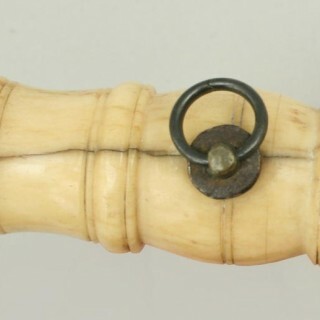 The Henshall button was the invention of The Rev. 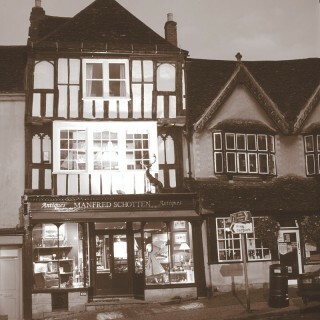 Samuel Henshall from Oxford in 1795. 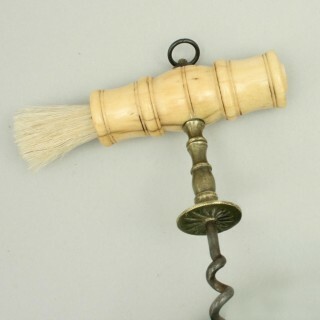 The idea is that once the worm is fully into the cork, with one final turn, the cork is compressed and turned breaking the bond between bottle and cork. Thus making it easier to extract the cork. This design was produced well into the 20th century in a vast array of styles.